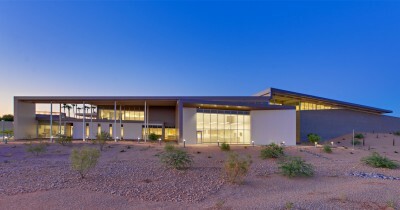 Judges were impressed by how this large structure not only succeeds in housing disparate functions under one roof, but also how it harmonizes architecturally with its desert environment. One went so far as to say the combination of athletics and enrollment services “redefines the campus approach,” adding great value at reasonable cost. But it was the design’s use of color and materials that made this project truly stand out, even as it blends perfectly within the surrounding landscape. To see the full award notification, please visit, here.